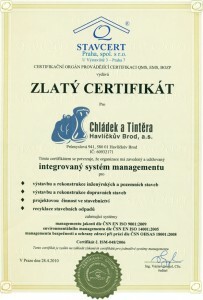 Introduction | Chládek a Tintěra Havlíčkův Brod, a.s.
Our company was set up in 1994. Therefore, its production programme stems from the founders’ long-standing experience in the area of railroad, road and civil engineering. We implement transport, surface, water as well as engineering constructions. We have trucks, special machines and up-to-date technologies supporting the company’s main activities. We also carry out the geodesy and designing for the implementation of projects. We provide for recycling and treatment of building waste. We transform public and private investors’ ideas into real buildings. The crucial feature shared by the company’s individual centres lies in delivering all works necessary for the implementation of a “customised” project. We will examine the investor’s requirements, prepare a business plan, compile studies and project documentation, obtain building permits, and carry out the building works as well as the subsequent approval process. We perform the building works using standard technological procedures as well as state-of-the-art methods at an adequate technical level, within optimum delivery times and not exceeding the costs identified. 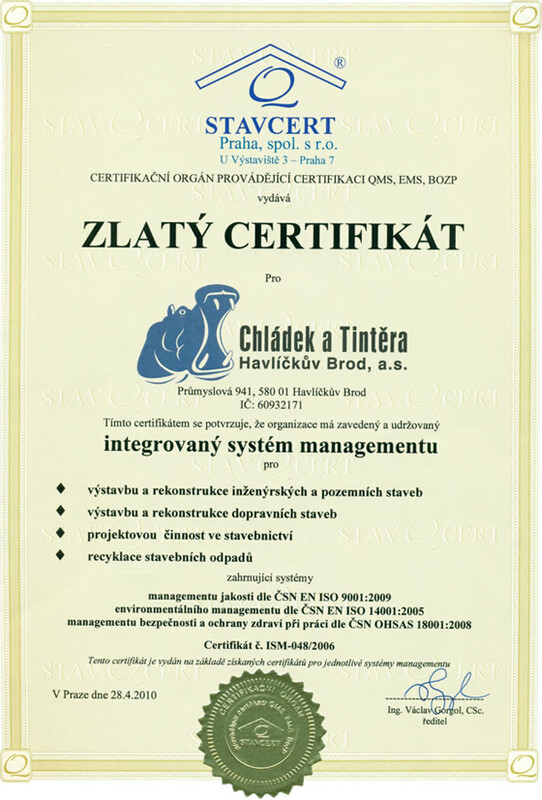 We hold a valid Quality management system certificate according to CSN EN ISO 9001:2009, Environmental management system certificate according to CSN EN ISO 14001:2005 and Occupational safety and health protection management system according to CSN OHSAS 18001:2008. We put great emphasis on the flawless handover of completed buildings and provide high quality guarantees for our work. One of the company’s top priorities is our customers’ satisfaction.